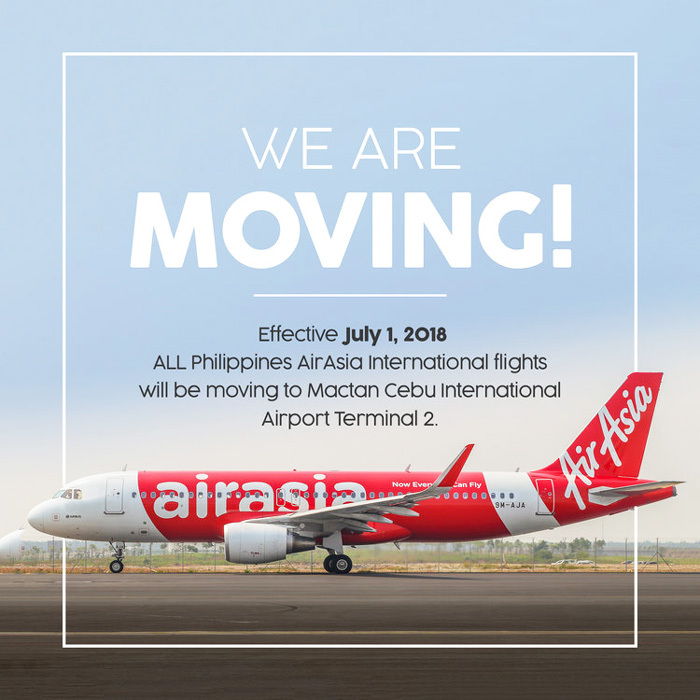 AirAsia is transferring its international flights to the brand new Terminal 2 of Mactan Cebu International Airport (MCIA) in Cebu, Philippines, effective July 1, 2018. AirAsia operates several international flights in Cebu namely; Kuala Lumpur, Singapore, Taipei, Incheon, Shenzhen, Hangzhou and Shanghai. * AirAsia guests holding international flight bookings to and from Cebu’s Mactan International Airport (MCIA) starting July 1 are being advised that their flights will now operate in Terminal 2. Guests are advised to arrive at the new terminal at least 3 hours prior to the scheduled time of departure. For a seamless journey, AirAsia encourages guests to conduct self-check-in via AirAsia website or AirAsia mobile app or kiosks located at the airport, before proceeding to the baggage drop counters. “Visayas and large parts of Mindanao are underserved markets that are saddled by high air fares due to limited options or duopoly. We are excited to introduce new flights from Cebu to VisMin and vice versa and make flying more affordable, accessible through our signature low fares,” Comendador added. MCIA Terminal 2 is beautifully designed using uniquely indigenous architecture with modern facilities, offering a comfortable space to travellers. There are 48 check-in counters that are expandable to 72 counters for departing travellers. To ensure accessibility and convenience, a two-level forecourt separates the arrival area from departure station. It is fully integrated with landside development. The Terminal 2 also has provisions for seven passenger boarding bridges that can be expanded to 12 boarding bridges serving wide and narrow body aircrafts. It will be equipped with 12 escalators and 15 elevators facilitating the easy movement of passengers, especially for persons with disabilities. * AirAsia’s Cebu - Shanghai route starts July 7, 2018.